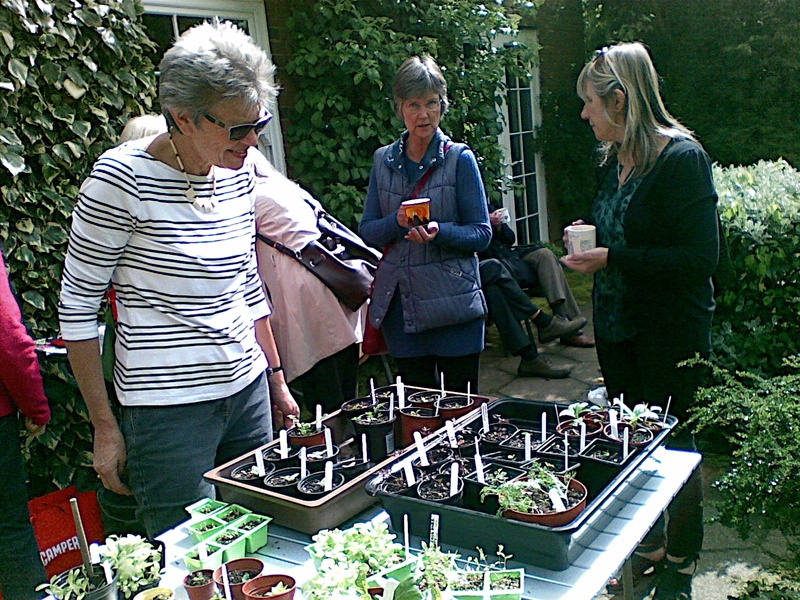 This year’s Seedling Swap took place in Adrian de Baat’s garden in Welwyn Garden City. Adrian planted masses of tulips last year and swappers took the opportunity to wander around the colourful borders and chat about the emergent grasses and late-flowering perennials for which his garden is well-known. There was a wide variety of little plants on offer, from David Singleton’s tiny pots of rooted fuchsia cuttings to Linda Williams’ tray-load of Gaura ‘The Bride’. Members spent quite some time bent over the tables with tiny trowels and dibbers, collecting their ‘plants for free’ to take home. Cups of tea from Adrian’s wife, Clare, were very welcome, as was the delicious cake on offer. I offloaded a batch of Anthriscus ‘Ravenswing’ and Ammi visnaga, along with a few Scabious stellata ‘Sternkugel’ and Dahlia coccinea. I came home with several Smyrnium perfoliatum, a crop of Dianthus ‘Sooty’ and a job lot of Linda’s Gaura to thread through my front garden planting. 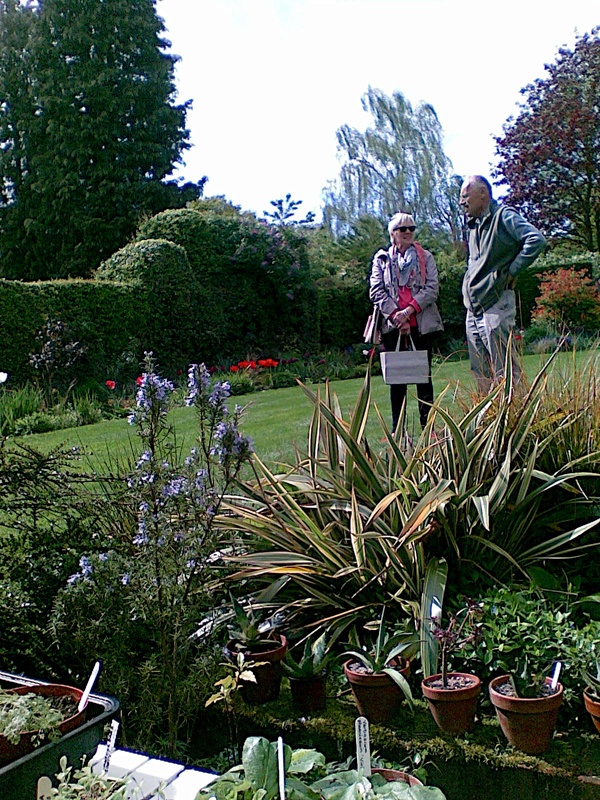 Altogether a very happy morning spent with fellow enthusiasts, and new plants for the garden at no cost. Many thanks to Adrian and Clare for being such genial hosts and providing refreshments. I hope, if you didn’t attend the Seedling Swap this year, you might be inspired to come along in 2015. It’s one of the big benefits of belonging to a local group, and yet the attendance numbers are always oddly low. It’s basically just plants for free with a cup of tea, so put the date in your diary next year and join in. Remember – no contribution is necessary, there are always more than enough seedlings to go round. Posted on May 8, 2014, in Member Meeting, News 2014 and tagged Adrian de Baat, plants, Seedling, Welwyn garden city. Bookmark the permalink. Leave a comment.